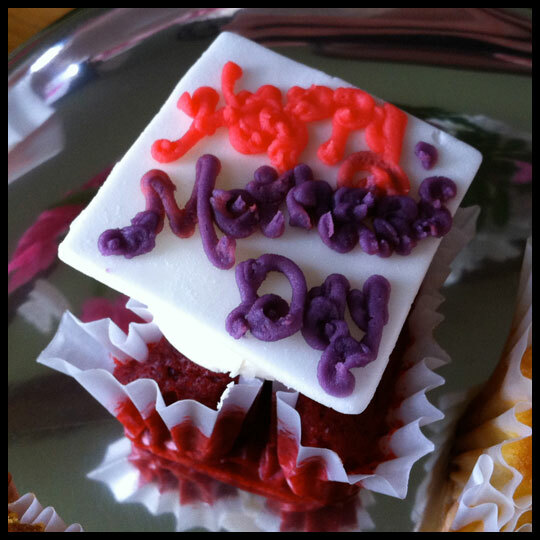 A First Mother’s Day without Cupcakes? Not me! Last year I was pregnant during Mother’s Day, and although a lot of nice people wished me a “Happy Mother’s Day” I still didn’t really know what it meant to be a mom. I was able to sleep in, eat when I wanted to eat, take a nap when I wanted, and just enjoy all the simple pleasures that you take for granted before you actually have a child. I’d love to say that this Mother’s Day was everything a person could ever have dreamed of, but with a baby (who turned 10 months old yesterday), I had little expectations for a relaxing day. In addition to thoughtful gifts I received throughout the weekend, I made plans to pick up Mother’s Day cupcakes from Fresh Bakery with a LivingSocial voucher I had to redeem. 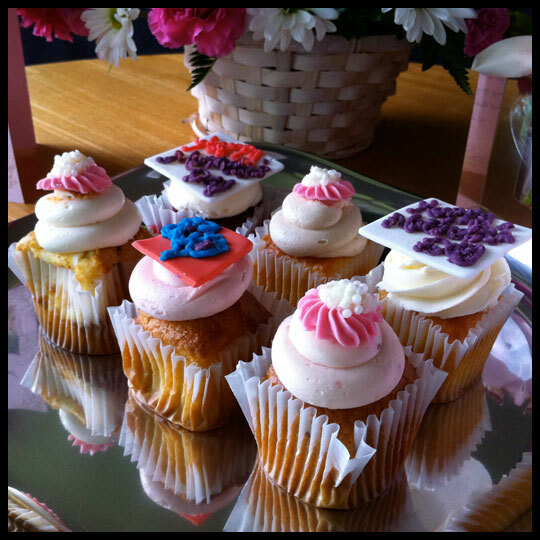 Cupcakes always make any day better and I looked forward to them making my first Mother’s Day extra special! The day started at…(insert drum roll)…5:30am! My “little” bundle of joy decided she just couldn’t wait until her usual 6:30-7am wake-up time to celebrate Mommy’s special day. Luckily, after an hour of boisterous chatting with her “stuffy,” my husband and I decided she wasn’t going back to sleep and he went and took care of her so I could get another glorious half hour of rest. Throughout the day there were more ups and downs, but the cupcakes were constantly in the back of my mind. After a nice church service with many well wishes and Mother’s Day hugs, and a somewhat exhausting lunch with a very hungry and tired baby, I was finally able to pick up my cupcakes! I had hoped to enjoy my treats while relaxing, but since Leah fell asleep in the car (and woke up as soon as we arrived home), I knew I’d have to wait until after she went to bed. I had been teasing my husband all day that I was not going to share MY cupcakes, but being the awesome wife I am, I decided that he could have some. We shared four of the six, and not one of them disappointed us! The flavors included vanilla-vanilla, red velvet, something with a strawberry frosting, and something cinnamon-y. 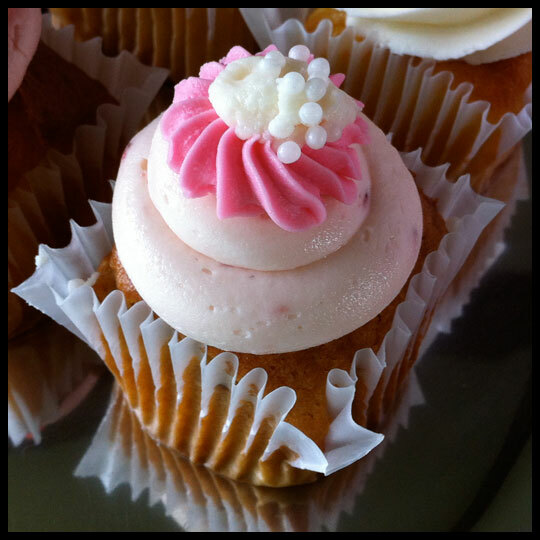 We’ve tried most of Fresh Bakery’s flavors and they are always so moist and delicious! I can’t wait to finish up the remaining two tonight! What did you do for Mother’s Day this year? Where cupcakes a part of the day? 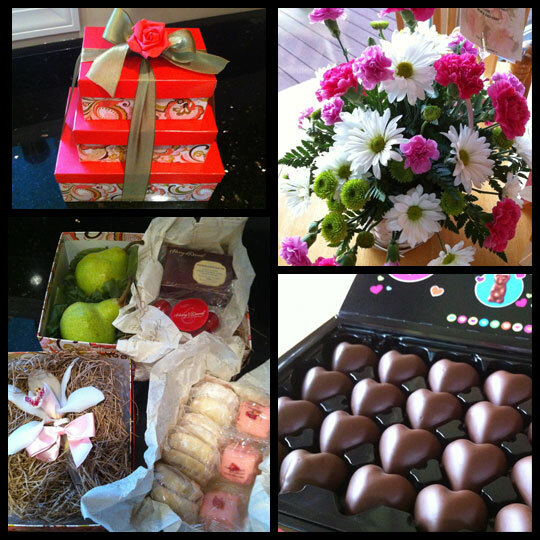 Do you have a favorite Mother’s Day memory? I know certain holidays can be difficult for some, but I hope you all were able to find something special on this day, whether it was spending time with your mom, your children, siblings, friends or just relaxing and enjoying the beautiful weather. Even though my day was a little exhausting, Leah gave me a special gift…she walked around pushing her activity walker for the first time! 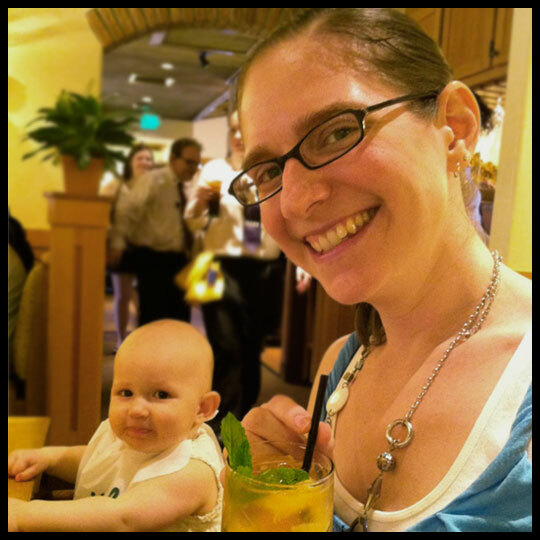 As time passes I’m sure I’ll forget the fussy-baby-moments, but I will always remember my first Mother’s Day as being very special! This entry was posted in Baltimore, Cupcakes, Maryland and tagged baltimore, cinnamon, Cupcake, Fresh Bakery, holiday, Mother's Day, Red Velvet, strawberry, vanilla by Crusader Jenn. Bookmark the permalink. That sounds really nice! I love substitute holiday-days! (And, I hope your mother found her weekend at the beach to be a well deserved time to relax!) We haven’t been able to spend Mother’s Day with our mom for awhile now, since she’s been living in Florida, but plan to take her “cupcaking” on our next visit, so that will be a nice treat!